Development of recreational facilities is an important function of the Humboldt Bay Harbor, Recreation and Conservation District. Woodley Island Marina, King Salmon beach, and the Shelter Cove open-ocean boat launching facility are examples of the District's commitment to recreational development. In addition, the District works on planning and improvements to other boat launch facilities, trails, water trails, and interpretive signage throughout its jurisdiction. 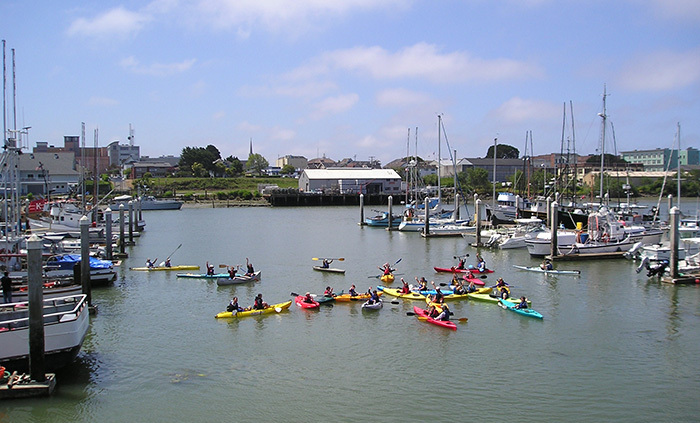 The District supports the efforts of other local agencies to develop water-oriented recreational facilities as well, such as improvements to the Fields Landing Boat Ramp by Humboldt County, and the improvement of facilities along Humboldt Bay's Eureka Channel as part of the City of Eureka's Waterfront Revitalization Plan. Copyright 2018 © Humboldt Bay Harbor District.